This video provides a systematic method to inspect your emergency vehicles. You'll look at the six areas you will need to inspect from outside your vehicle. Then you'll look at the pump operator's position, followed by the in-cab and engine compartment inspections. The video will also discuss what you should do when you suspect or find a defect and about how service visits are scheduled. 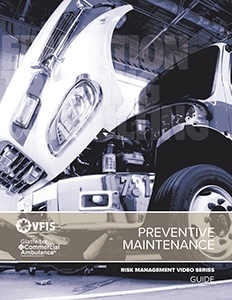 Following the video will help your organization keep their vehicles in good emergency response condition.